The All India Senior Selection Committee announced India’s Squad for T20 Series against West Indies and Australia. The squad sees the committee take a bold decision to leave out an underperforming MS Dhoni for both the series. Virat Kohli has been rested for the series against West Indies with Rohit Sharma being handed over the captaincy for the three-match series which begins on November 4 and concludes on November 11 after which the team will leave for Australia. This series will see Rohit Sharma lead India for a third full series this year. Coming back to India’s Squad for T20 Series, Dhoni’s form is something that has been troubling the Indian side for quite some time now. Having failed consistently this year as a batsman, Dhoni has been in poor touch, getting out cheaply after failing to apply himself to the crease. His innings have been lacklustre, robbing the side of a good wicket-keeper batsman over the stretch of 2018. Asked to play in the Vijay Hazare trophy to get some much-needed match practice, Dhoni had refused the BCCI’s request, something that doesn’t seem to have gone down too well with the team management. The selection committee meanwhile said that Dhoni’s notable exclusion was due to them looking to cement the second wicket-keeper role, something that both Dinesh Karthik and Rishabh Pant have been earmarked for ahead of the World Cup to be played in 2019. For the West Indies series, Washington Sundar who last played for India in the Nidhihas Trophy makes a return to the setup. Manish Pandey and Shreyas Iyer also make the Indian squad on the back of their consistent showing with the bat in the Vijay Hazare and Deodhar Trophy. Krunal Pandey has been slotted in the all-rounder’s role with Ravindra Jadeja missing out. The bowling line-up sees Mohamed Shami lose his place in the 20 over format as well with Shahbaz Nadeem being drafted in his place. The rest of the attack is the same as the one featuring in the ODI series against the West Indies. Virat Kohli will return to take over the mantle of the side for the T20 series against Australia. 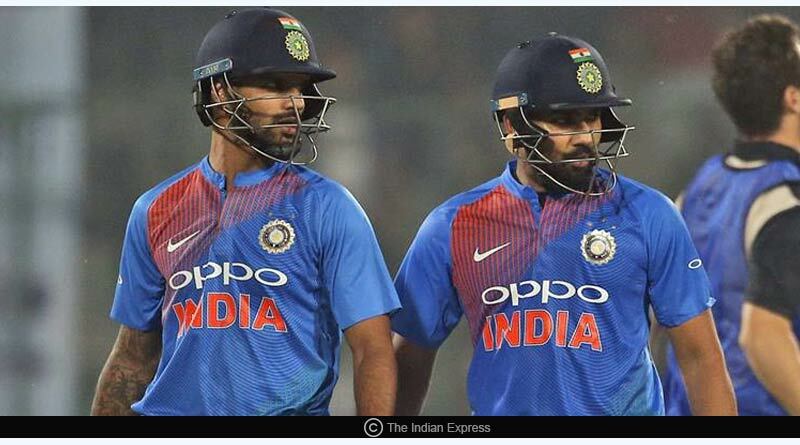 On pitches that will offer plenty of purchase to the pacers, India have selected an all-star pace attack of Bhuvneshwar Kumar, Jasprit Bumrah, Umesh Yadav and Khaleel Ahmed. For more details on India’s Squad for T20 Series and related updates, like and subscribe to tentaran.com.